Over €125,000 euros have been raised in a charity concert organized by the Lithuanian Jewish Community and the Order of Malta for non-Jews who risked their lives to save Jews during the Holocaust in Lithuania. Baron Christian Freiherr von Bechtolsheim, ambassador of the Order of Malta to Lithuania, presented a symbolic check to the persons recognized by the State of Israel as the Righteous Among the Nations during a news conference at the Lithuanian Jewish Community House in Vilnius. "Those righteous of nations were really the heroes of the times, because you endangered your own lives ant the lives of your loved ones by giving shelter, you hided the people who should be killed by the Nazis, you helped them to escape, you gave them food, this all is showing a face of humanity in the darkest times in Europe," the ambassador said. "We care about our savers as much as we care about the survivors," Faina Kukliansky, the community's chairwoman said. 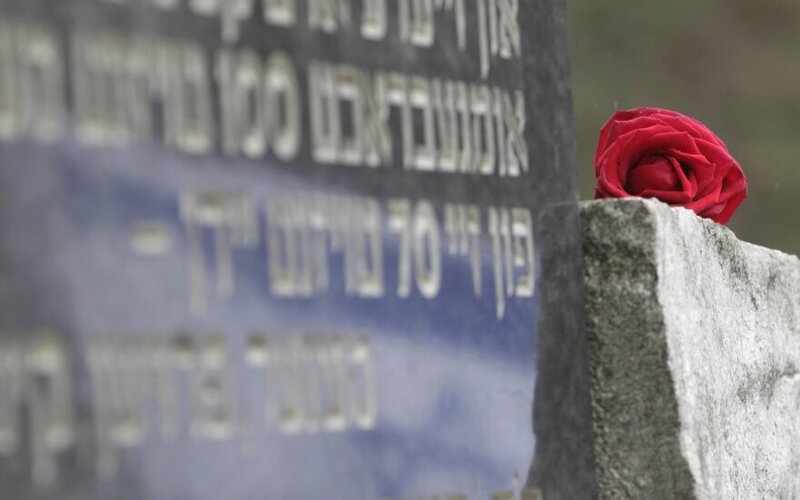 Eighty-seven persons recognized as Righteous Among the Nations are alive today in Lithuania, down from over a hundred three years ago. The Lithuanian Jewish Community said some of these people live in poverty and suffer from diseases. Eitvydas Bingelis, secretary general at the Order of Malta's relief organization in Lithuania, said that those Lithuanians who helped saved Jews during the Holocaust would receive some of the money in the form as vouchers they would be able to use to buy non-subsidized medicines and other medicinal products and some would be placed in a fund that would be used according to each person's individual needs. "These may range from buying firewood during the winter period and paying heating bills to buying household appliances," he said. There are plans also for an exhibition of the Righteous Among the Nations in Lithuania. "There will be a photo exhibition of the Lithuanian heroes who contributed to a better image of Lithuania during those difficult times, (named) the Portraits of the Lithuanian Righteous Among the Nations," Bingelis said. Projects funded by using the money raised during the concert will last for three years.